Even strong relationships can come to an end. 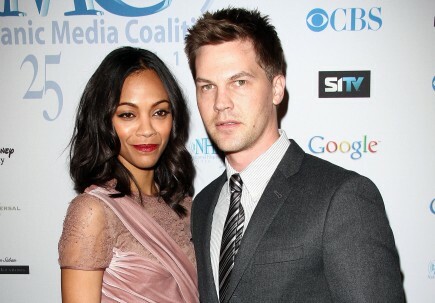 Avatar star Zoe Saldana, 33, split from her fiancé, businessman Keith Britton, 35, reports People. “[The couple] have amicably separated after 11 years,” said Saldana’s rep in a statement. The pair will continue their partnership in the website My Fashion Database. “Saldana and Britton remain committed business partners as co-founders of fashion resource MyFDB.com,” said the statement. How do you rebuild independence after a long relationship ends? 1. Take control of your money: In long relationships, it’s not uncommon to have shared bank accounts and investments. Separating your funds from your partner’s is one of the quickest ways to reassert your independence. 2. Be wary of mutual friends: After a long time with your partner, the two of you most likely have mutual friends. Though it can be disheartening, strictly sorting your friends post-breakup will help you move on. Contact with mutual friends will only remind you of your ex. 3. Visit your family: One of the best ways to heal after a break-up is by visiting your friends and family. Those closest to you will help you remember how you were before your relationship and will also help you move forward. Have you ever been through a break up with a longtime partner? Feel free to leave a comment below.